Standard, A2-style “birdcage” flash suppressor. Solid bottom helps reduce dust signature. 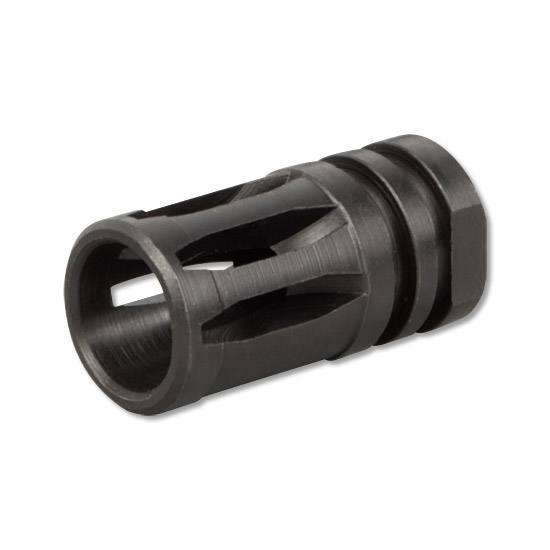 Steel, black finish, fits barrels with 1/2-28 TPI threads.